A favourite poet of mine is William Henry Davies. Perhaps his best known poem is ‘Leisure’, which is reproduced below. In these times, people are always rushing about. They seldom put aside time to unwind. They must be on the go all the time. Time rushes by. Why not relax now, and spend time to explore the photo above? Be calm; be quiet; let your eye look at every detail. Enjoy being still. Enjoyed the poem Bill ,thank you . Is the photo at Heybridge? P.S. I am back in the UK next month and there to the beginning of July, we must catch up. Im familiar with the poem, Bill, but I have to say, it looses nothing whatsoever with the re-reading. Thankyou so much. Good poem Bill. I like the photo as well. The yacht on the right is someones pride and joy (no doubt). The one on the left looks like a Hillyard? - The one in the middle (Schooner rigged?) looks very interesting indeed - she looks like a serious cruising boat of some gravitas? I wonder who designed her? No, not a schooner - aft mast not of sufficient diameter. 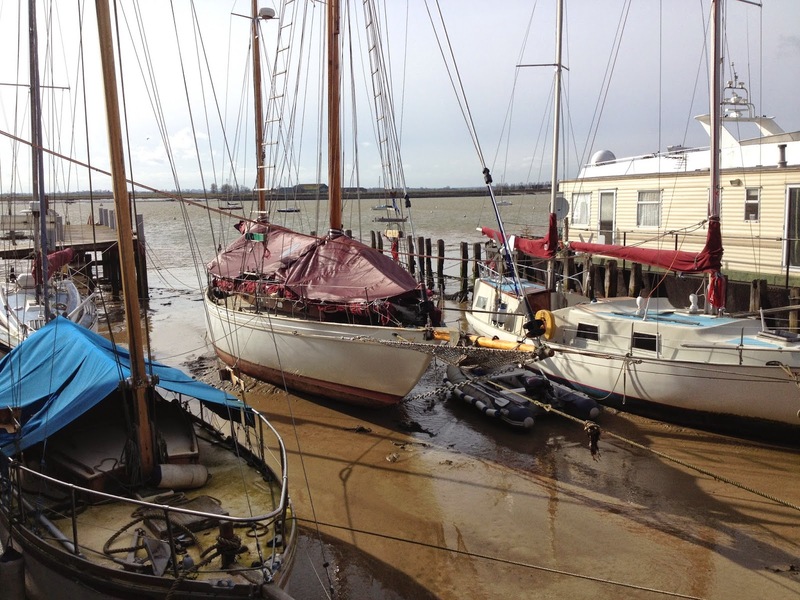 The photo was taken beside Priors boatyard at Burnham-on-Crouch looking towards Wallasy Island. Am I right in thinking you are due to arrive in the UK on 15th May? I'll look forward to meeting up. Yes Bill that is correct. I will call you once I am settled in and over any jet lag! Thanks Bill, for reminding me of that great poem and a smashing picture. Even a few minutes a day is good practice for standing and staring.